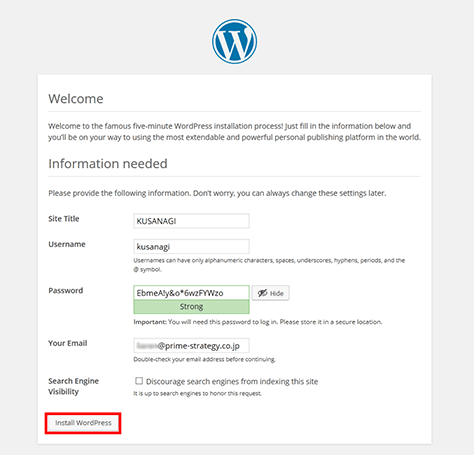 Access to the virtual machine with browser,and begin installing WordPress. 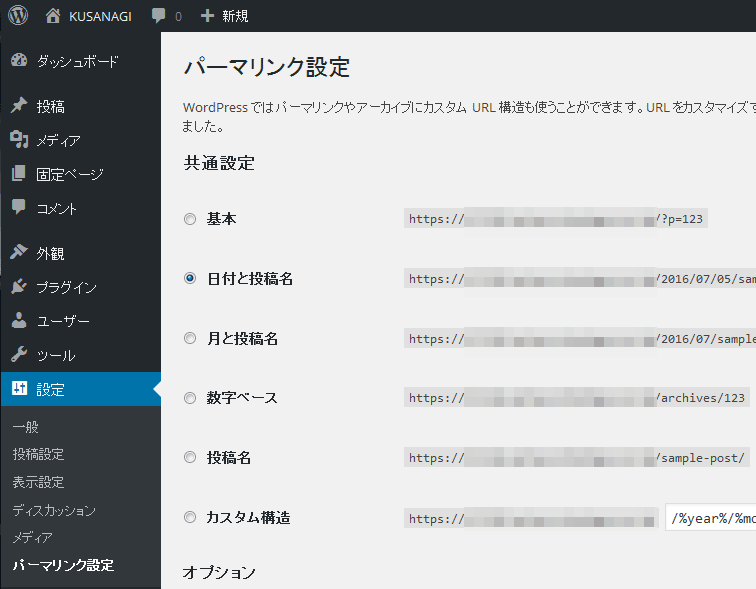 Access to the URL configured at the step 「3.host name configuration」 of WordPress provisioning. 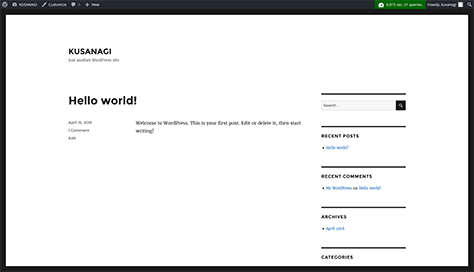 The welcome page of WordPress will appear. 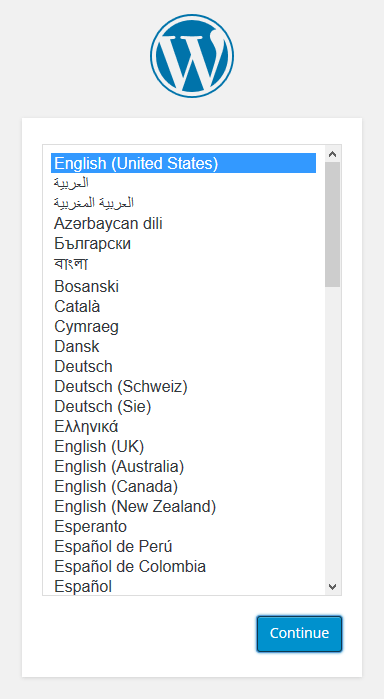 * If you chose “en_US” in WordPress Provisioning the following will display. The following screen will display for you to enter your database connection details. 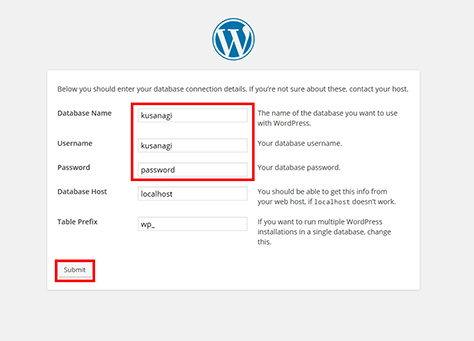 * If you are using database which builds in virtual machine, leave database host name to localhost and do not change the database host name. * Substitute the prefix [Example: kusanagi_ ] for identifying your each unique easily. A screen will display saying “You’ve made it through this part of the installation”. Click “Run the install” button. 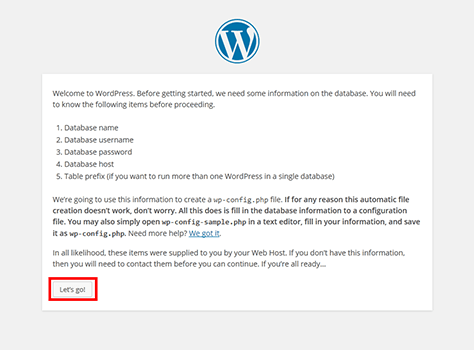 You will need to enter the basic information about the WordPress site and administrator. 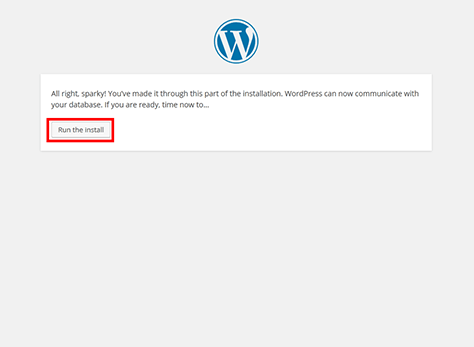 After entering all the information, click “Install WordPress”. A screen will appear showing “Success!”. 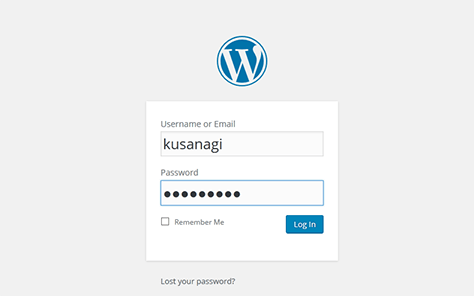 Enter username and password to login to user interface. Click Permalink settings in the Settings menu, customizes URL if you think those are necessary to change. More details about KUSANAGI functions as well as customizes, plugins to speed up ,please check KUSANAGI plugins to get more details. Click the title on the top left hand side to returns to top page. Make sure the front page displays. 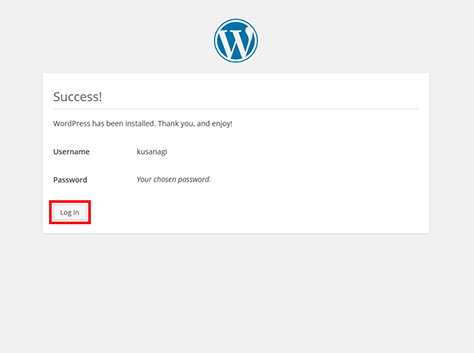 The installation of WordPress is completed. Please read the documentation pages for details about KUSANAGI commands. Also check out the FAQ.